Examples of Transmogrify’s work existing in the public domain are given in the client list below. Note that in the majority of examples, Transmogrify has been responsible for the text, but has had no or only marginal involvement in the design and layout of the completed publication. 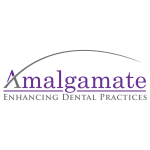 Amalgamate was founded to enhance Western Australia’s dental practices in four key areas: accreditation, infection control, work health & safety and documentation. We work alongside dental practice managers and dentists to ensure your practice and staff are compliant through effective training, accreditation, document development and record keeping, while maintaining a focus on day-to-day operations. Archery X-tra is an online Australian-based target archery magazine covering stories from the grassroots to the Olympic podium. Our aim is to provide informative and fun pieces about target archery both in Australia and around the world. ARRC, the Australian Resources Research Centre, is a major initiative of the Western Australian State Government, CSIRO and Curtin University. ARRC is a thriving national collaborative hub for geoscience and energy research, conducting research, training, and technology development for Australia’s resources sector. Arriba provides a range of specialist technical services to exploration and mining companies, environmental consultancies, research organisations and legal firms. Arriba has broad expertise in hydrometallurgy and electrochemistry, environmental and business management, laboratory analysis and research, and sustainability issues. Bioscope Environmental provides environmental and social services to the mining, industrial and infrastructure industries. A boutique consultancy with global reach, Bioscope Environmental provides technical and other services for all project stages, from feasibility studies through to site closure. As the Western Australian Government’s analytical laboratory, the ChemCentre has state responsibilities in emergency response, forensic science services, and environmental and public health and safety. It provides scientific consulting services and chemical testing and analytical services, as well as specialised method development and unique analyses for less common chemicals of interest. ChemCentre scientists provide high quality analyses, legally defensible data and, where required, expert interpretation and legal testimony. Curtin University is recognised nationally and internationally for excellence in education and research and offers a wide range of undergraduate and postgraduate courses in business, humanities, health sciences, resources, engineering and related sciences. It is also recognised for high impact research in minerals and energy, ICT and emerging technologies, health, and sustainable development. Innovation Central is a collaboration between Cisco, Curtin University and Woodside Energy. Innovation Central is a state-of-the-art connected community that leverages cloud, analytics and Internet of Everything (IoE) network platforms to create innovative tech solutions to real business challenges. Key areas of focus are oil and gas, agriculture and smart city; but we believe there is an opportunity for digital disruption in any industry. We bring together small-to-medium enterprises, corporates, government, industry experts and researchers to achieve efficiencies and create new opportunities through rapid prototyping and proof-of-concepts. Working in collaboration means we can leverage the advantages of risk sharing, cost efficiencies, joint marketing and the agility of partnering. The Murchison Widefield Array (MWA) is a low-frequency radio telescope operating between 80 and 300 MHz. It is located at the Murchison Radio-astronomy Observatory in Western Australia, the planned site of the future Square Kilometre Array (SKA) low-frequency telescope, and is one of three telescopes designated as a Precursor for the SKA. The MWA is performing large surveys of the entire Southern Hemisphere sky and acquiring deep observations on targeted regions. Murdoch University has more than 22,000 students and 2,000 staff from across 90 countries that have a desire to discover, use their imaginations and ultimately make a difference. Murdoch embraces free thinking, and encourages the sharing of ideas, pooling of knowledge, and finding new ways of thinking. Murdoch is recognised for excellent teaching, ground-breaking research and a high number of satisfied students. The NCSEHE’s purpose is to inform public policy design and implementation, and institutional practice, in order to improve higher education participation and success for marginalised and disadvantaged people. Its objectives are to be at the centre of public policy dialogue about equity in higher education, and to ‘close the gap’ between equity policy, research and practice. OneStone Consulting Pty Ltd supports and enables clients in planning, designing and operating the most efficient and sustainable water systems. It provides a range of water system analysis, design and optimisation services, with a whole-of-system view applicable to water and wastewater transfer systems, borefields, and mine dewatering systems. Pawsey Supercomputing Centre is a world-class facility that provides High Performance Computing resources to accelerate Australian scientific research for the benefit of all. Our service and expertise in supercomputing, data, cloud services and visualisation, enables research across a spread of domains including astronomy, life sciences, medicine, energy, resources and artificial intelligence. Pendoley Environmental is a Western Australian-based marine conservation biology consultancy service. Specialising in marine turtle science and more broadly in marine science, coastal ecology and zoology, Pendoley Environmental specialises in preliminary hazard identification, ecological risk assessment, preparation of Environmental Impact Assessments, Environmental Impact Statements and Environmental Management Plans, baseline ecological monitoring program design and implementation, compliance monitoring and longer term post-commissioning monitoring. As Western Australia’s leading science education institution, Scitech offers interactive science experiences for people of all ages to enjoy. The University of Western Australia is a world top 100 university, providing quality education across five broad bachelor degrees and almost 70 diverse majors, while also offering professional degrees at postgraduate level. A research-intensive university and part of the internationally-recognised Group of Eight, it is home to more than 75 research and training centres. The Western Australian Energy Research Alliance (WA:ERA) is an alliance between the leading research institutions of CSIRO, Curtin University and The University of Western Australia, combining state-of-the-art facilities and multi-disciplinary expertise to deliver technology-based solutions to the global energy industry. WA:ERA builds on core R&D with industry partners, including Woodside Energy Ltd, Chevron Australia Pty Ltd and CGGVeritas, to underpin the collective knowledge, skills and facilities necessary to meet current industry challenges and lay the foundation for future energy developments.